Did you know that people make a first impression in only seven seconds? Because of that, it’s crucial that your home looks its best when you are ready to sell. A beautiful and clean home will attract more bids, and push up your final sale price. To get the most from your sale, you need to meticulously prepare your house beforehand. Here are four tips and tricks you need to know to prepare your home for sale from The Degnan Group! Your curb appeal is your home’s first impression, so it should be flawless. Start with the centerpiece, your roof. It’s a good idea to get a professional roof inspection before you begin the sales process, so you can make any necessary repairs or replacements before an offer is made by a buyer. Next, look at your siding. Wood siding should be painted every five years to avoid the drab, faded look. Once you have your siding repainted (in a neutral color!) it’s time to focus on the windows and doors. Your windows should be cleaned on both the outside and inside, and the shutters, front door, and garage door should all get a matching new coat of paint. Finally, hire a landscaper or DIY yard makeover. This can include cutting the grass, trimming trees and bushes, and planting flowers in your gardens. The last step in improving your curb appeal is renting a pressure washer. Just spend a short time applying it to your deck and driveway, and they will quickly start to look like new again. Yes, you read that right. The only way to declutter and depersonalize your home is to begin the packing process early. Go through your rooms one by one, and for each object ask yourself: pack, donate, or throw out? What should get packed up? Photos, knick-knacks, shoes, excess linens, cords and electronics, and as much kitchenware as you can get away with. Organize your closets with your seasonal clothes, and empty out the rest to pack up. In your bathrooms, it’s time to clean out those cabinets and get rid of the half used products that have been sitting there for years. Anything that you use in your day to day life should be placed in a box that is easy to pack up and hide away under the sinks before any house showings. Packing early has two major benefits. Your house will look spacious and decluttered, and you’ll be a step ahead when it’s time to make your big move. Now that the clutter is out of the way, it’s time to make sure that everything left is sparkling clean. Clean the bedrooms, bathrooms, and kitchen, dust all the furniture, wipe down windows, sweep and mop your floors, vacuum all the carpets, and deep clean your fridge and oven. Do a thorough walk-through of your house, now that it’s clean and decluttered you will notice the small things that need to be repaired. Replace things like broken tiles, rusty faucets, and worn curtains, and re-caulk your baths and showers. Next, it’s time to get organized. Everything in your pantry should be neatly packaged and labeled, your shoes and clothes should be hanging nicely in your closets, and all cups, plates, and bowls should be stacked by size. Finally, consider a paint job for your interior as well. If you have brightly colored or uniquely painted walls this is a must, but even if you have beige or blues a fresh new paint can cover years of scratches and scuffs. 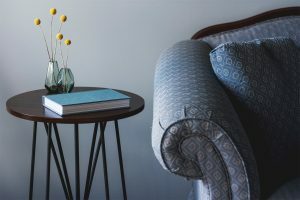 On the day of your open house, or anytime a realtor is bringing prospective buyers to your home, there are a few extra steps you can take to make it more inviting. Staging your home is all about the little details. Rearrange furniture so that buyers can easily walk through and the rooms flow together naturally. Purchase or pick some fresh flowers, and display them in vases throughout the house on end tables or coffee tables. Finally, if you have kids or pets, it’s a good idea to arrange an outing for them for the day. Drop them off with family or friends and pick up and pack up their toys, and in the case of a dog or cat, their food, water bowls, and kitty litter. When it’s time to sell your home with The Degnan Group, there are plenty of steps both small and large that you can take to ensure your house gets top dollar on the market. Follow these four tips, and take care to present your home in the best possible light. If you’re ready to begin the selling process, call The Degnan Group today to get started!